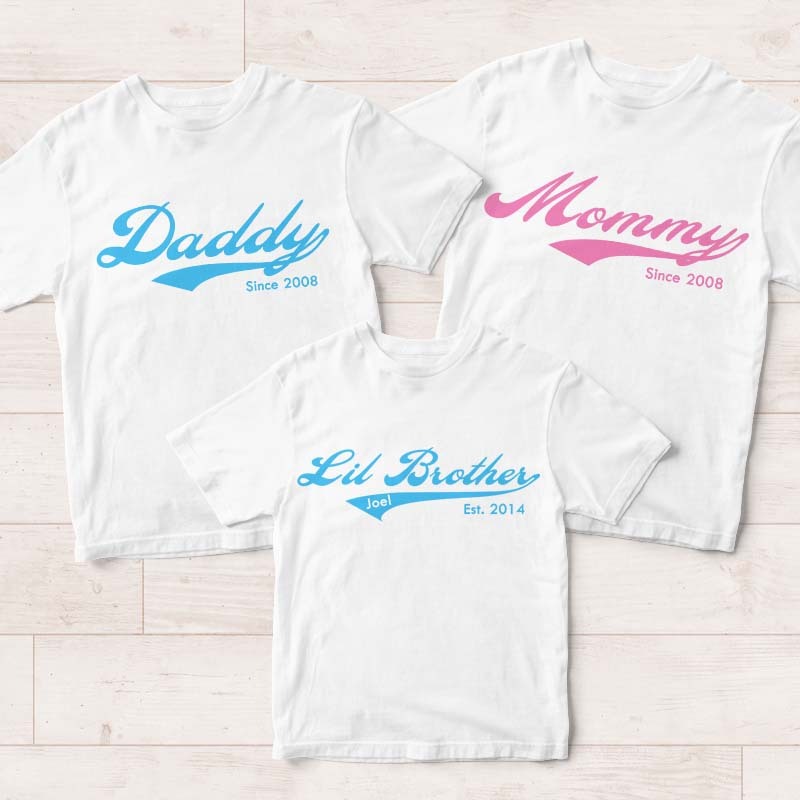 Personalized Family T-Shirts in simple yet unique design. Wordings & colour can be changed to fit your needs. Listing includes 2 matching T-Shirts. Additional tees can be purchased together. Need more Tees for coordinating outfit? Purchase them here! Our personalized t-shirts are made of soft cotton and are digitally printed with premium inks. ^Age guide is estimated, please measure your kid’s actual size for better fit.